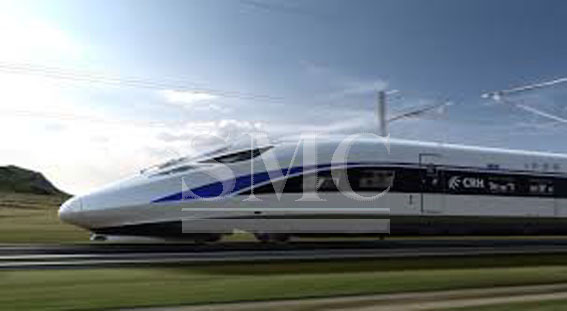 China Railway Rolling Stock Corporation (CRRC), is China’s main railway vehicle manufacturer. Even though they are China’s leading train manufacturer, they have bigger goals they hope to accomplish over the course of the next several years. CRRC plans to expand globally, establishing eleven regional branches throughout the world by 2020. They hope to obtain ten to fifteen percent of the global market over the course of the next three years. They want to penetrate other key markets including Central Asia, Russia, Europe, and North America. Some of the planned locations include the United Kingdom, South Africa, and Australia. At these locations the company intends to build trains, purchase parts, and build maintenance and service facilities. The company has a localization strategy and will hire local employees in these key markets. CRRC stated that they have completely “switched its development strategy from shipping their trains and products over seas to building a global network to compete with established foreign rivals”. The plan has already been set in motion in several foreign markets. Last year, CRRC made the first steps in accomplishing this task by setting up their first regional branch in the North America. The branch is located on the east coast in Massachusetts. Its purpose is to coordinate its businesses and aid in continuing their projects in the United States, Canada, and Mexico. Another deal in the works is with the Czech Republic’s Skoda Transportation AS. If this plan goes through they will have a 100% stake in the company. This would be the first time the company has taken over an entire train manufacturing company. The acquisition of Skoda Transportation AS would increase the company’s market share in Europe. Europe has an extremely competitive railway market with several foreign competitors. CRRC has a vast number of railway related products. These products include high speed trains that run up to 350 kph, middle-to-low speed magnetically levitated shuttles, high-speed commuter trains, piggyback wagons, hydrogen-powered tramcars, and oil-electricity hybrid locomotives. They have already shipped these products into foreign and domestic markets, but they have recently expanded their product line to include semi-conductors, new energy vehicles, and industrial robots. Of these innovative new products they announced their development of a smart bus that can carry 300 people. The cost of the bus is around $2.5 million dollars, and it costs around $58 million dollars to build a kilometer of metro line and rail. CRRC plans to continue their innovations and expansion over the next few years in hopes of accomplishing their mighty goals.